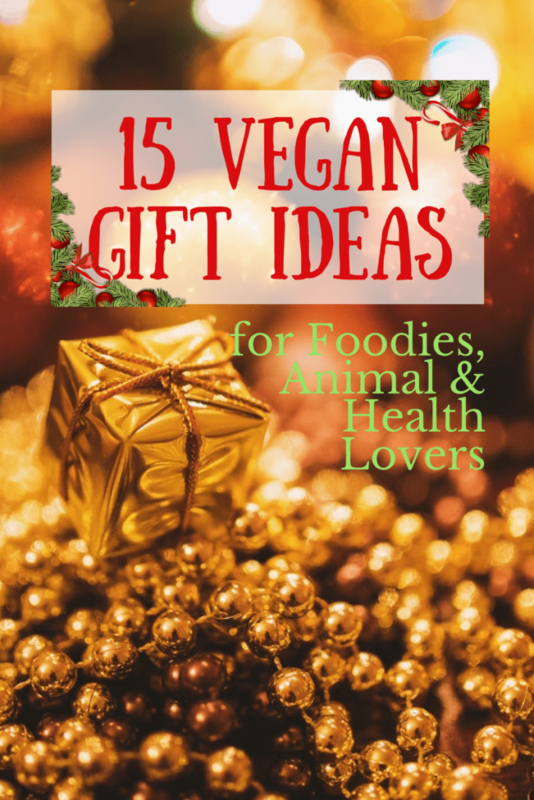 Here’s a collection of some of my favorite vegan gift ideas! This gift guide isn’t just for vegans, but for anyone in your life who is passionate about eco-friendliness, cooking or healthy living. Psst… look out for some special DISCOUNTS and a GIVEAWAY! In need of holiday gift ideas? 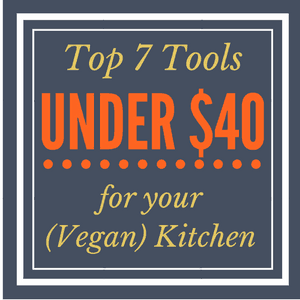 Without further ado, here are some of my favorites for the vegans, foodies, animal lovers or health nuts in your life! This post contains affiliate links. If you make a purchase after clicking one of my links, your costs stay the same but I receive a small commission to help support Vegan Chickpea. Thank you for your support! Every home cook needs a great set knives! I was recently gifted these Misen knives (the Chef’s Knife and Paring Knife) and I completely ? them. They are so balanced, sturdy and sharp, making all your slicin’ and dicin’ a total breeze. Seriously, if you don’t own good knives, you’ll be amazed at the difference once you try high quality knives! Most kitchen tools are either cheap and flimsy, or come burdened with bloated price tags and unexplained features. That didn’t seem right to us, so we took a simpler approach. QUALITY MATERIALS – For both our knives and cookware, we spent months choosing premium steels which offer a balance of performance and durability. THOUGHTFUL DESIGN – The millimeters matter. Whether edge angles for our knives or ergonomic handles for our cookware, every piece we make is obsessively considered. HONEST PRICE – By cutting out retail middlemen and selling directly to customers online, we’re able to offer incredible tools at an honest price. Get $10 off your order with the code CHICKPEA10 between now and December 20th! I’m thrilled to announce that Misen is giving away BOTH their Chef Knife and Paring Knife to one lucky winner (a $100 value)! Will it be you? Scroll to the bottom of this post to enter! Giveaway ends December 16th @ 11pm EST. A few years ago for my birthday I received the original version of the Vegan Fusion online cooking classes, and I absolutely loved it! This was before I started my blog but I had gone vegan a few months prior. Having videos to watch was so inspiring and made plant-based cooking feel so easy, approachable and fun! Since then this Vegan Fusion course has been completely upgraded and redesigned, and I’ve also personally trained with Chef Mark Reinfeld as a Certified Level 2 Vegan Fusion Chef (you can read more about that experience here!). Each course is comprised of in-depth videos that you can complete at your own pace, and you’ll also receive recipes, interactive photos, fun quizzes at the end of each lesson, a private Facebook group AND, if you complete everything, you’ll be rewarded with certification as a Level 1 Vegan Fusion Chef! Watch the video above for more info. 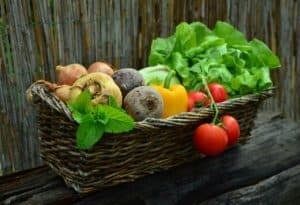 If you want to learn more about vegan and/or raw food preparation fundamentals, I highly recommend these easy to follow courses. Using the code SNEWMAN, you can get 40% OFF EITHER OR BOTH courses, which equates to $100 off the bundle or $50 off either one you choose! That’s only $150 for both courses. Simply click here to register with your special code! 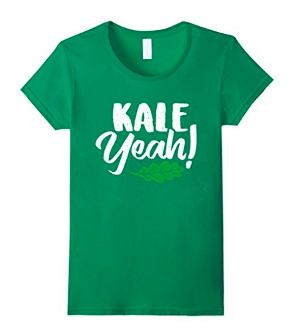 I’ve always wanted a fun t-shirt like this that supports plant-based eating. Just google vegan t-shirts and you’ll be amazing at the thousands of them out there! This one is just $16.99 on Amazon. 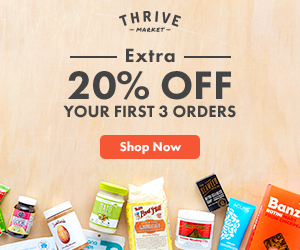 Thrive Market is an online grocery store that makes it easy to find healthy, high-quality products at truly affordable prices. They ship right to your door in 100% post-consumer packing materials and their prices are 25-50% off retail, plus every single day they have a different sale or giveaway free products with your purchase (20+ giveaways/month with an average $16 gift value) so it’s really worth the membership price, IMO! It makes vegan eating cheaper and more convenient, so what’s not to love? I wrote an entire post on my favorite vegan products and why I love Thrive Market here. Bonus: Gift a membership now and your recipient will also get an extra 20% off their first THREE orders! Support cruelty-free fashion with sites like Urban Expressions that don’t compromise on ethics or style! These chic animal-friendly handbags are so gorgeous; I have a backpack, makeup bag and the purse pictured above. 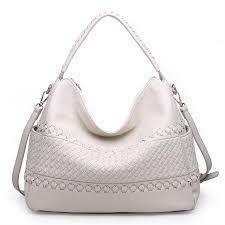 I LOVE LOVE LOVE this purse – so practical (it’s huge inside) and yet elegant with the textured braiding, I highly recommend it and have received multiple compliments on it! BONUS: Get 25% off the ENTIRE SITE with coupon code VCHICKPEA25! Another popular 100% vegan brand is GUNAS, an independent high fashion label from NYC that sells beautiful bags, wallets and shoes. Last year one of my best friends adopted a baby elephant on my behalf with the David Sheldrick Wildlife Trust, an organization that fosters orphaned elephants in Africa. 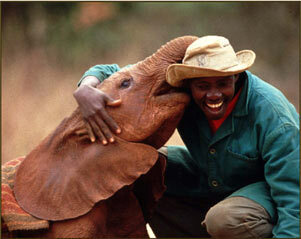 When a baby elephant is orphaned, it’s because its mother and family have been killed to serve the brutal ivory trade. For an elephant, family is all important, and the stories of these little orphans will break your heart. 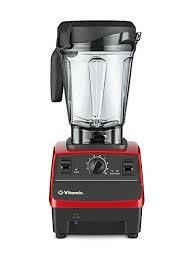 A Vitamix is one of the best gifts you could buy someone who loves to cook but has yet to invest in a high speed blender. You probably know by now that Vitamixes = magic in the kitchen; I use mine multiple times per week, sometimes multiple times per day! Perfect for soups, sauces, smoothies, purees, desserts (fillings + crusts) and more! They also have an online shop where you can purchase hundreds of safe, natural vegan products from brands like 100% Pure, Garden of Life’s mykind Organics line, Pacifica, Pukka, Vega, Vaute Couture and many more! Bonus: Every purchase also supports one of their cause partners, including Farm Sanctuary. 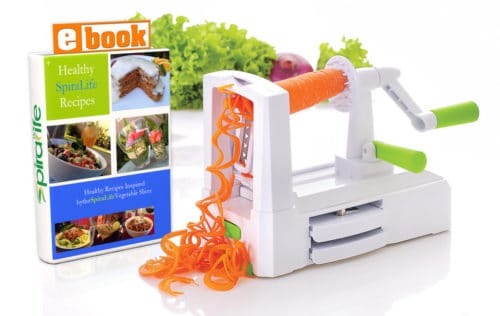 For the past 3 years, I’ve just loooved my spiralizer <— (I have that exact one). If you don’t have one you may think it’s a novelty kitchen item, but I beg to differ. I seriously eat veggie noodles multiple times per month – more than I eat regular pasta! Spiralized veggies are healthy, low carb way to the satisfaction of pasta without the heaviness and with the added nutrition! If you have a friend who doesn’t have a spiralizer, this makes a great gift – trust me on this one! 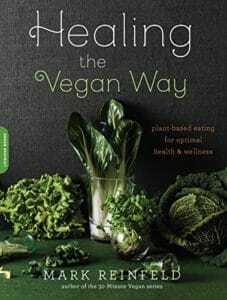 Healing the Vegan Way is one of my favorite vegan cookbooks by Chef Mark Reinfeld (same guy who teaches the cooking courses in #2). Over 300 approachable recipes that actually taste great and are super healthy! This book delivers a perfect foundation in plant-based cuisine. Plus, you’ll learn a lot about the healing power of foods and what you can eat for certain ailments or health conditions to support natural healing. A couple years ago, I bought my sister a CSA membership for her birthday and she enjoyed getting a super fresh variety of produce each week, including some items she may not have normally purchased herself but that she loved getting familiar with! If you’re unfamiliar, a CSA stands for Community-Supported Agriculture and is a way for consumers to buy local, seasonal food directly from a farmer. In exchange for a set price, you receive a box of produce from the farm each week. For anyone who loves to cook and support local farmers, a CSA makes for a delicious gift! Google CSAs in your local area to find out more. 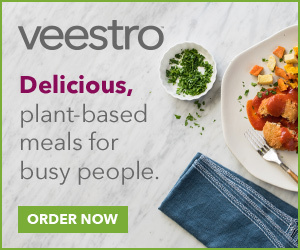 Veestro is a 100% plant-based, organic, preservative-free meal delivery service WITH GLUTEN FREE options. Seriously! Meal delivery services have become really popular these days and are popping up everywhere, and it’s fairly easy to find gluten free options or occasionally vegan options at some of the different sires – but NOT the combo of BOTH! Plus, very few of those companies are organic. For anyone in your life who wants to eat more plant-based meals but is often too busy to cook, a gift certificate would make a perfect gift. Read my review of Veestro here! 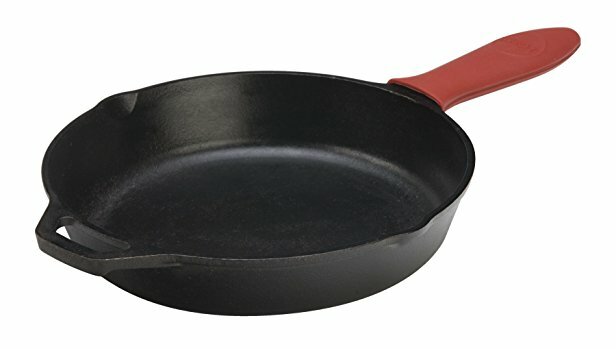 Cast iron skillets are another magical kitchen tool. I mean, a pan that doesn’t need washing, really?! Cast irons are great for almost any use, from sauteeing onions to making cookie cakes like this S’mores Oatmeal Cookie Skillet Cake, to one-pan meals like this Mexican Rice Skillet. 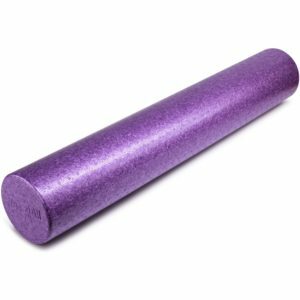 Ok, this one might seem a little random at first, but trust me on this – this 36″ foam roller just may be the best thing you buy for yourself or a loved one this year. Foam rolling is great to stretch out and massage your back, or really any part of your body. 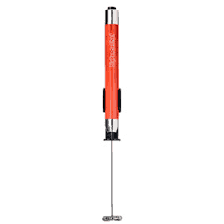 This little device is one of my favorite fun kitchen tools, and I use it just about everyday. While it probably doesn’t compare to legit frothers that come on espresso machines, this handy little gadget still gets the job done! I foam my milk/creamer before pouring in my coffee or herbal coffee, and loooove how much more decadent and enjoyable my morning beverage is that way! This hand frother really makes such a big difference, and for $12.95, how could you not just love this lil’ fella?! What are you most excited to give your loved ones this holiday season? Let me know in the comments below! ***GIVEAWAY! ENTER BELOW – GOOD LUCK! ? NO PURCHASE NECESSARY TO ENTER OR WIN. A PURCHASE DOES NOT IMPROVE YOUR CHANCES OF WINNING. VOID WHERE PROHIBITED BY LAW. Giveaway ends Saturday, November 16th, 2017 at 11pm EST. Winners will be contacted within 48 hours via email, and must reply within 48 hours of being contacted with their email address or else automatically forfeit the prize. Must be 18 years old to enter and live in the USA. By entering below, you agree to these terms. I plan to share some tasty vegan desserts this year with family and friends. I can't wait to share my vegan pecan pie with them! So thankful to have the opportunity to win the knives giveaway! I eager to share healthy food with my friends, my family and my extended family members. I'll be sure to tell them where they can get your great recipes!!! Have a wonder-filled Christmas! Blessings to you and your family! I would love to win these knives. I got my knives when I got married almost 20 years ago. Would love to update! These are all such great gift ideas. Is it acceptable to gift some of these to, ummm, MYSELF?! haha. 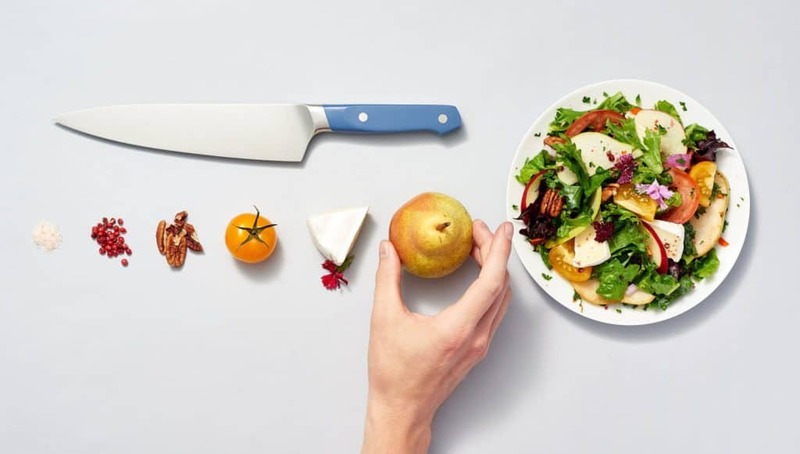 Love the knife idea and the food course idea. Those would be perfect. Haha! Umm of course! Gotta treat ourselves sometimes, right?! ;) Glad you enjoyed this Jen and I hope you get the knives and cooking course! 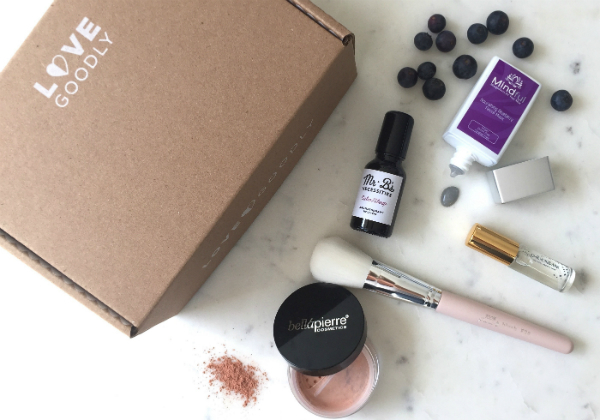 I've been a subscriber to LoveGoodly since they first started. They are such an amazing company. I've met the owners, and they are such lovely women. I am hoping to make some amigurumi for the first time and gift them to people in the shape of their favorite animals! I'm looking forward to baking vegan cookies for the first time and gifting them to our neighbors. I have been making herbal tinctures and infused ciders that I am hoping everyone will be happy to get - I'm pretty excited to see their reactions! Wow, I'd be thrilled to receive those gifts! Great idea! Hopefully I'll be able to get my Mom something she loves. Oh my goodness, that is SO adorable!! Yes, sounds like it's time for an upgrade - good luck in the giveaway! I gotta say it never even occurred to me that I could gift a Thrive membership...my sister is temporarily living in the middle of nowhere working in her dissertation & her grocery stores are soooo limited. I'm excited now... that's a great idea! I'm so happy to hear this Catherine! If I was your sister living in a food desert I'd be so excited for a Thrive membership. Glad you found some inspiration here! Ooh, so many fun things! This Christmas I don't know if I have 1 specific thing I'm excited about....I think I'm just more excited to gift small treats to my kiddos! They are 3 and 6, so the Christmas hype is huge, and they appreciate even the tiniest gifts. It's a lot of fun, and feels like the true spirit of giving!